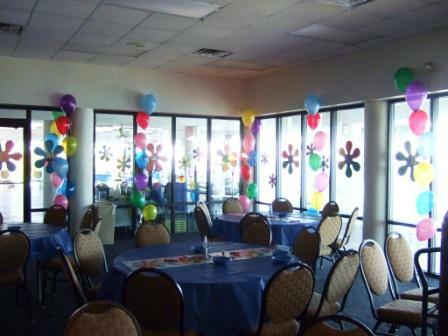 Wedding Table Bouquets and Centerpieces are the most popular way to decorate a room. 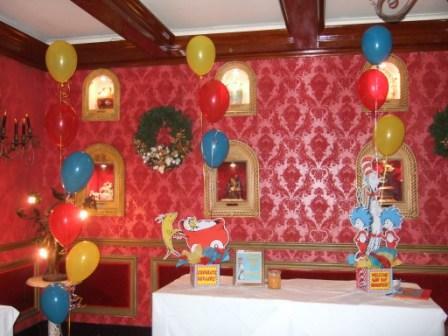 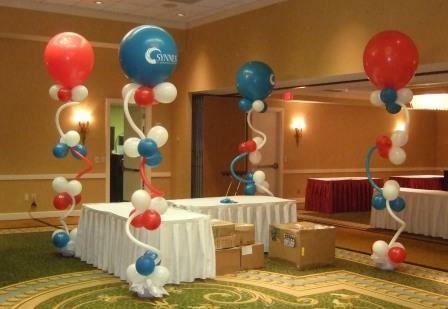 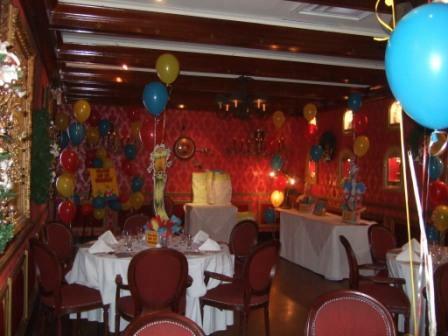 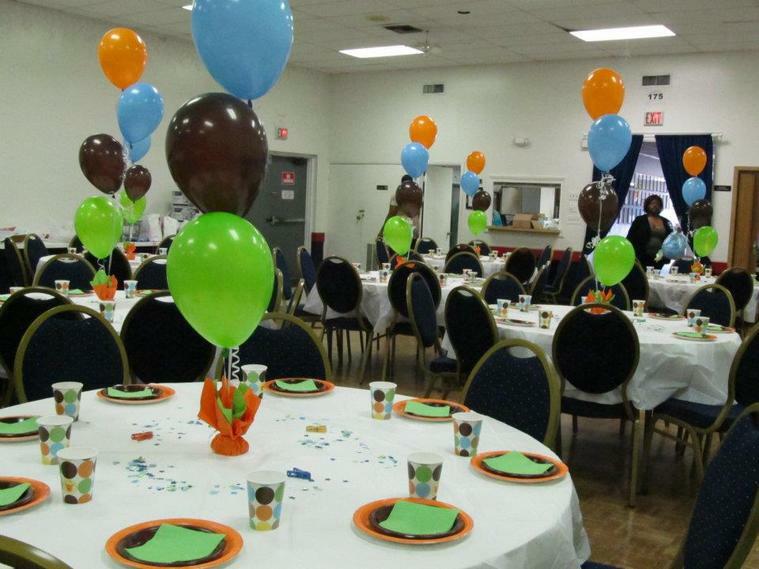 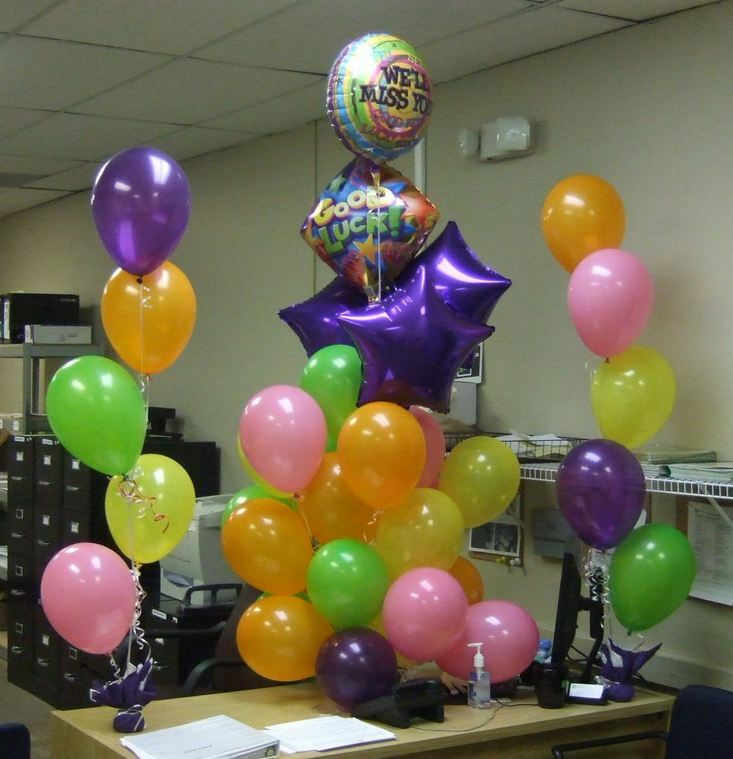 Balloon Bouquets are used to give color and pop to parties and events of all sizes, while creating a unique and colorful theme to any party. 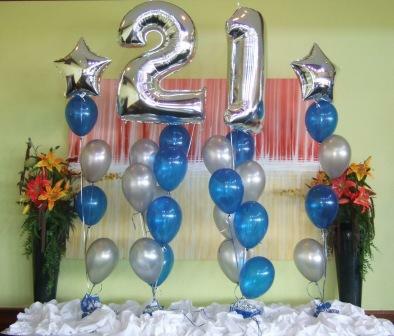 In many cases table top centerpieces are all the decorations needed to give a room a full and festive look. 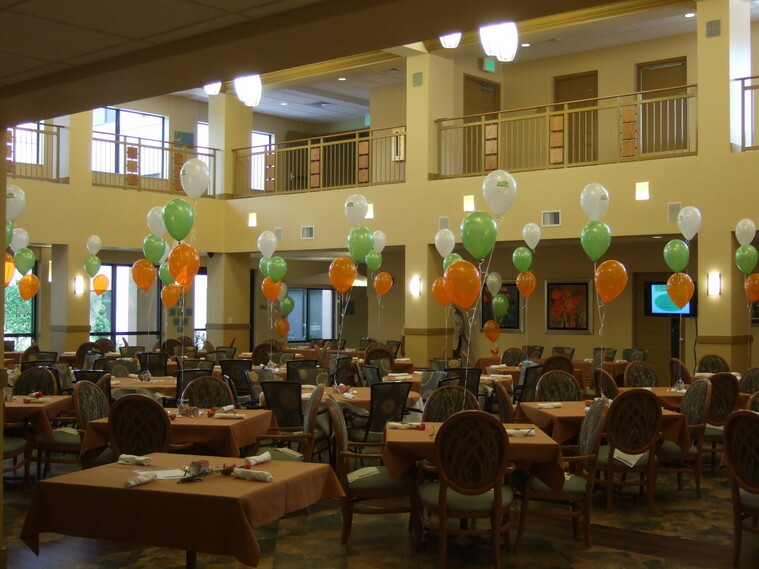 They enhance room décor and buy filling in the empty space above the tables while leaving clear view for guest and attendees to socialize. 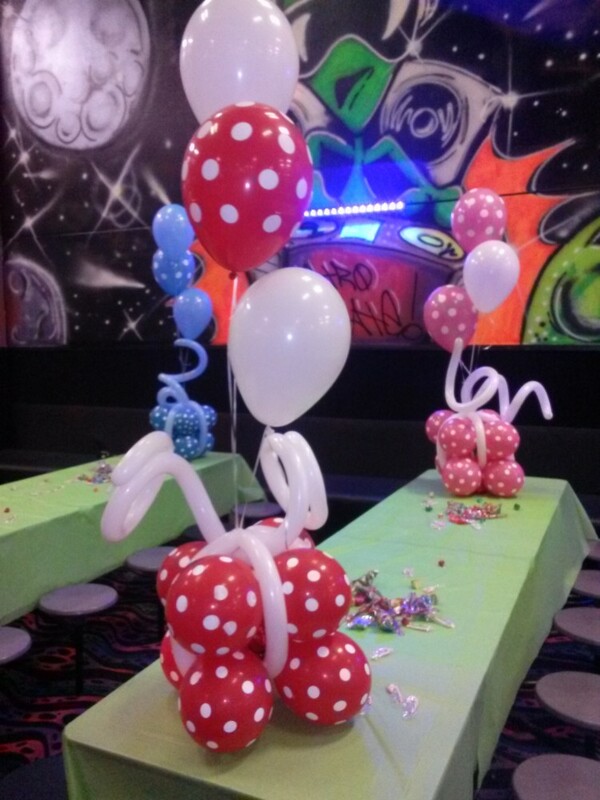 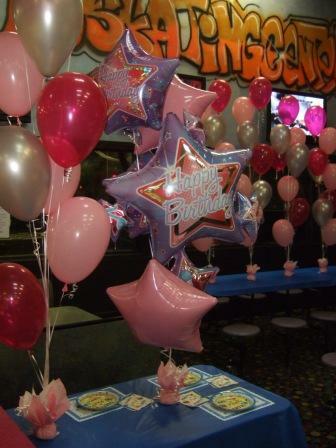 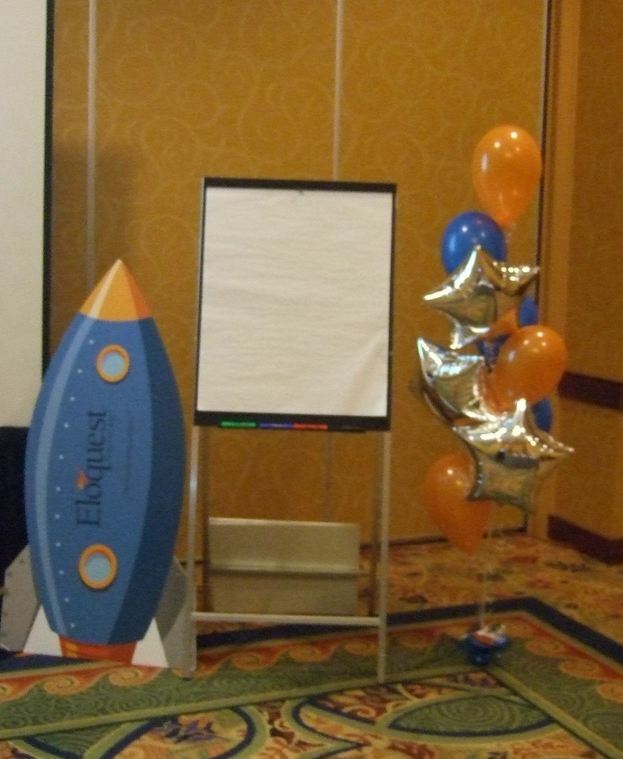 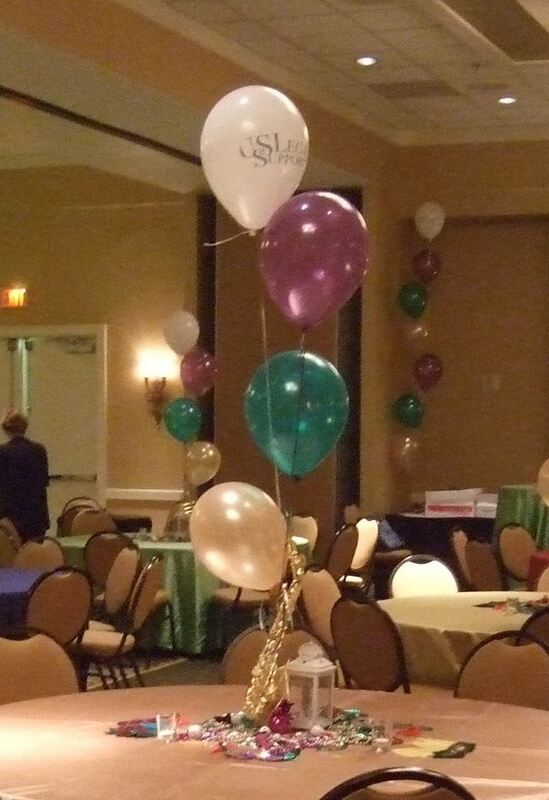 Customize with your themed colors or with balloon bases to really stand out. 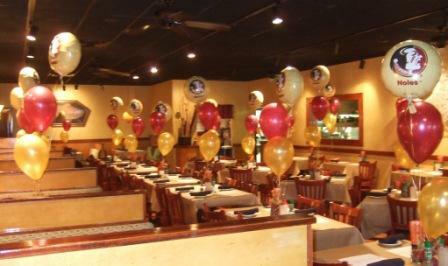 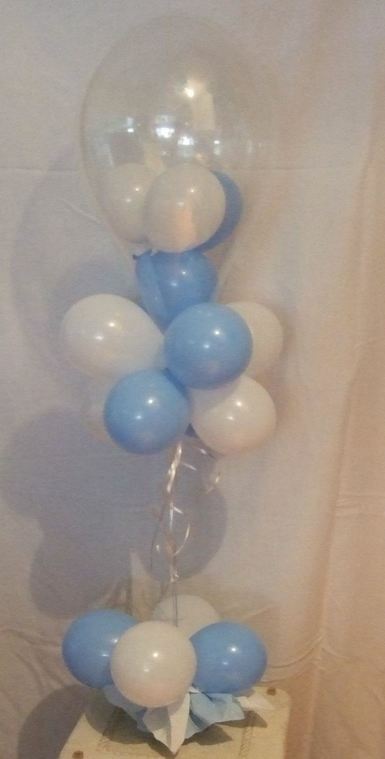 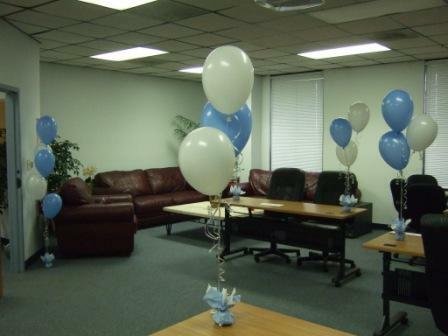 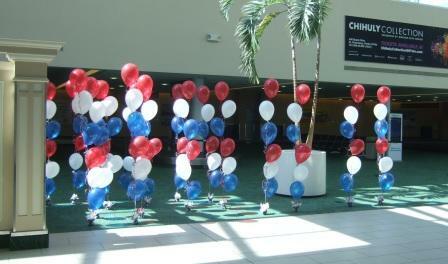 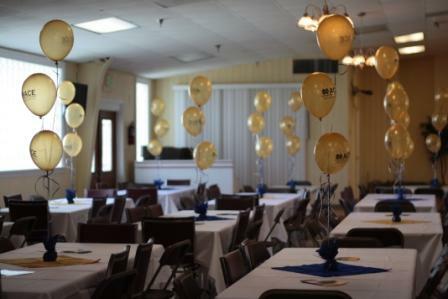 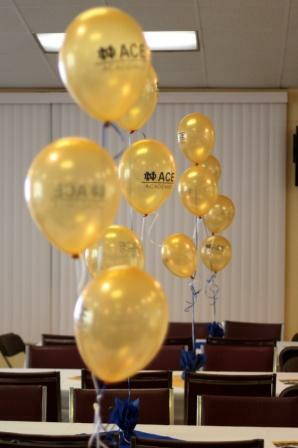 Our bouquets can be made using plain or printed latex balloons. 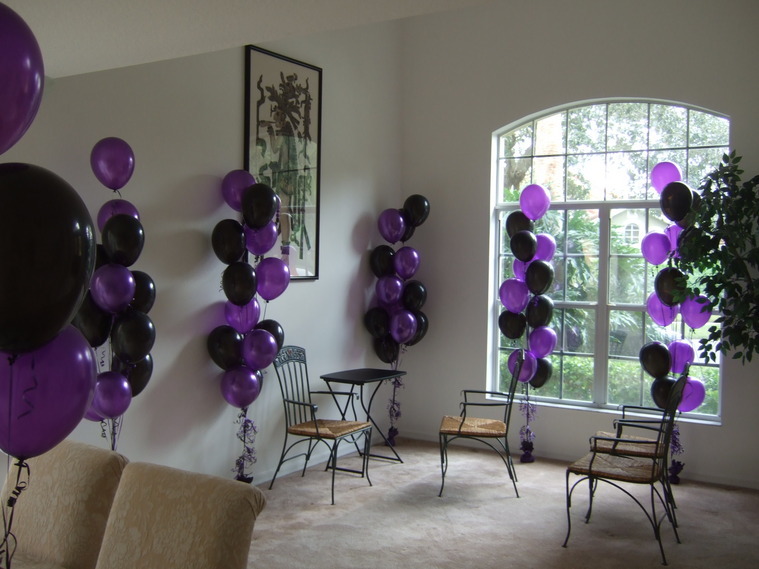 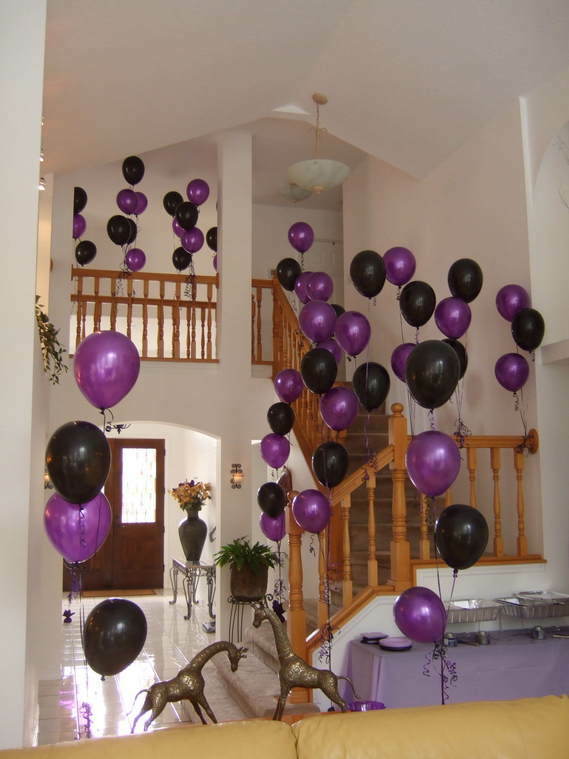 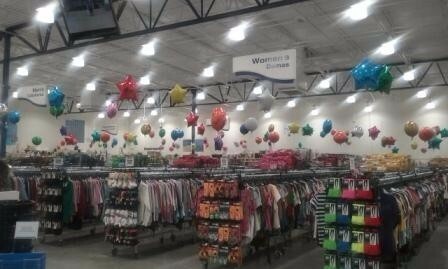 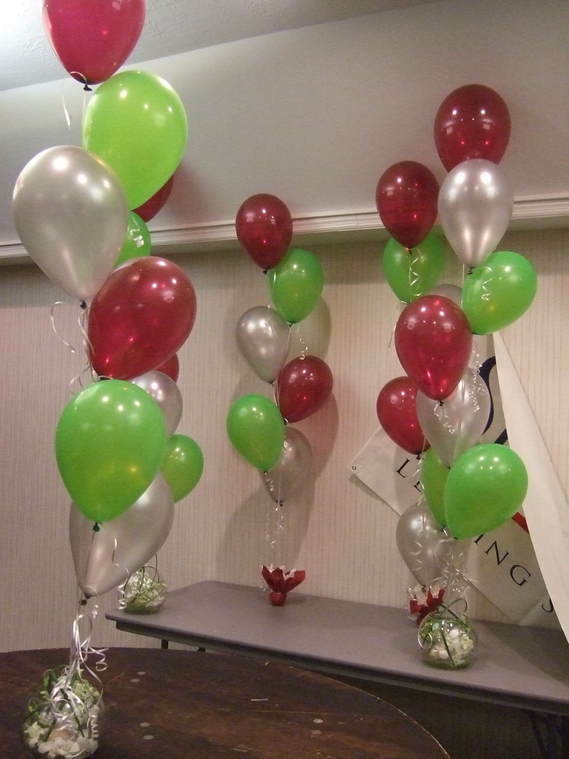 These are then staggered at different heights between 2 and 7 foot depending on number of balloons per bouquet. 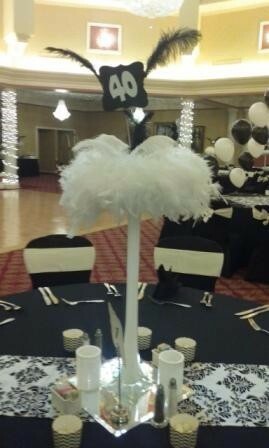 Topiary Tree arrangements make beautiful wedding centerpieces and can be easily tailored to individual tastes. 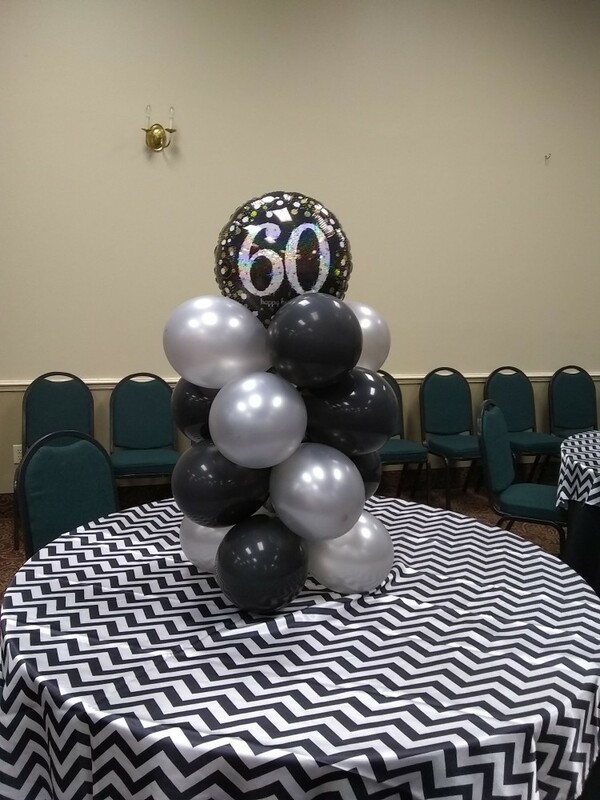 A Topiary Tree is a flower design balloon presented with a weighted base, such as a pot or gift box, Whether created in multi-color or solid, these unique arrangements set the tone for your big day or event. 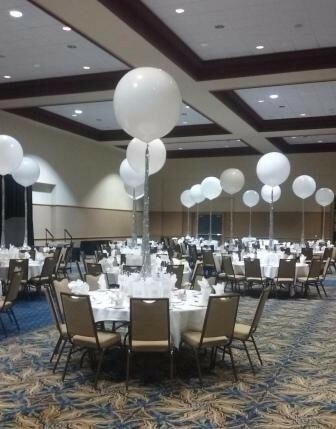 Large Topiary Trees are a unique way to accent inviting entrances and frame head tables at weddings, birthdays, and events. 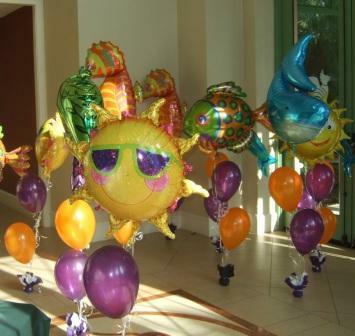 Highlight the spheres with silk flowers, ribbon, and other embellishments to really make an impact.